I’m feeling good about tonight. 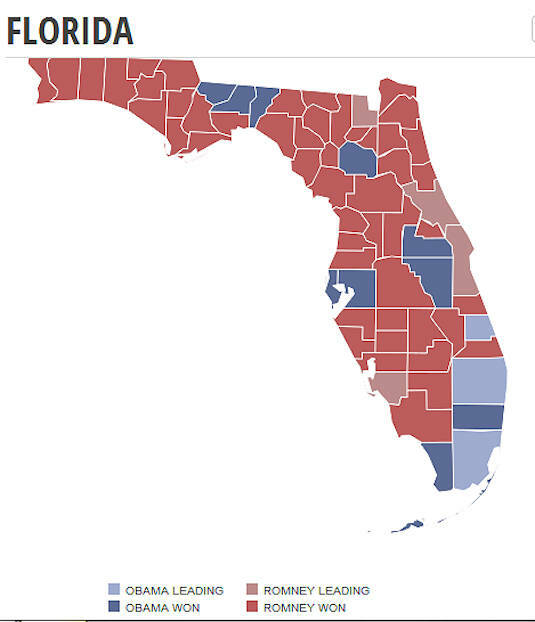 Obama won, and better yet, it looks like he won Florida, thanks to the voters of South Florida. Evidently you can’t lie and buy your way into the White House. Not yet, anyway. Also it looks like the most noxious of the proposed constitutional amendments lost as well. The three supreme court judges get to stay. And David Rivera is toast! The US Senate remains Democratic, and Bill Nelson won. Elsewhere, gay rights won in Maryland and Maine on a popular vote! Tammy Baldwin will be a senator from Wisconsin (and still an out lesbian!). Nate Silver called it almost exactly right.